The reveal will be made courtesy of a livestream event. Many fans expected Activision to hold off until June's upcoming E3 convention to reveal this year’s Call of Duty title, but it looks like the publisher is taking a slightly different course for 2017 as it has announced a formal unveiling of Call of Duty: WWII will be happening next week. Yes, you read that correctly. 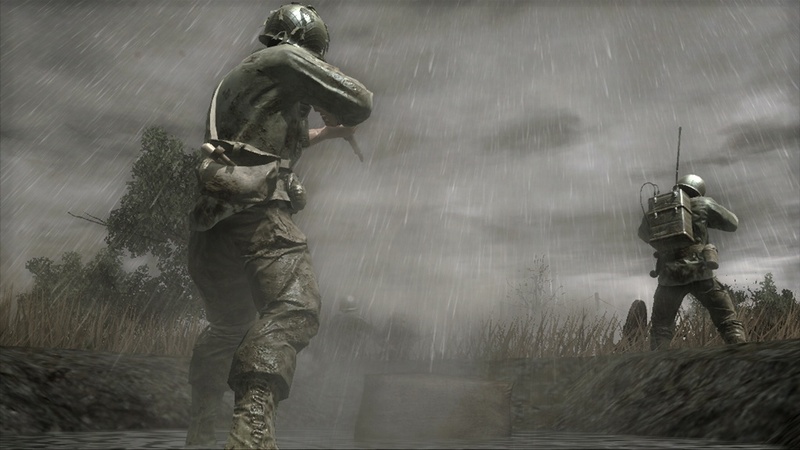 This year’s Call of Duty will officially be called Call of Duty: WWII, confirming after a long-gestating series of rumors that it will indeed be returning to the historic World War II roots of the classic Call of Duty games. Little else is known about Call of Duty: WWII at this time other than that it is being developed by Sledgehammer Games (the same studio behind Call of Duty: Advanced Warfare), but a formal reveal event has been scheduled for next Wednesday, April 26, at 10 a.m. PST (1 p.m. EST). Fans will be able to watch the reveal event live over on the official Call of Duty website. The event will be hosted by Sledgehammer Games co-studio heads and founders Michael Condrey and Glen Schofield.